L'Oréal Paris Voluminous Mascara in Cobalt Blue not only carries the original formula for Voluminous mascara, which means it separates and builds lashes 5x fuller and has bold volume. It is also uniquely formulated to resist clumping, to soften and build lashes up to 5x their normal and natural thickness. It has a uniuqe maximizing formula that quickly thickens and builds lashes in a single application for a full and dramatic look. The Volume Maximizing Brush thickens lashes evenly and smoothly, leaving lashes soft with virtually no flakes, smudges or clumps. This mascara is clump resitant, fragrance-free, it has been ophthalmologist-tested and allergy-tested. This mascara is suitable for sensitive eyes and contact lens wearers. This mascara looks good alone. It thickens as well as regular Voluminous Original. As you can see from my pitiful lashes (which are so pitiful they are invisible without mascara), two coats of the Cobalt Blue Mascara with nothing else on my face makes them my eyes look bright and cheery. Now I am going to go apply brows, brush and lips. 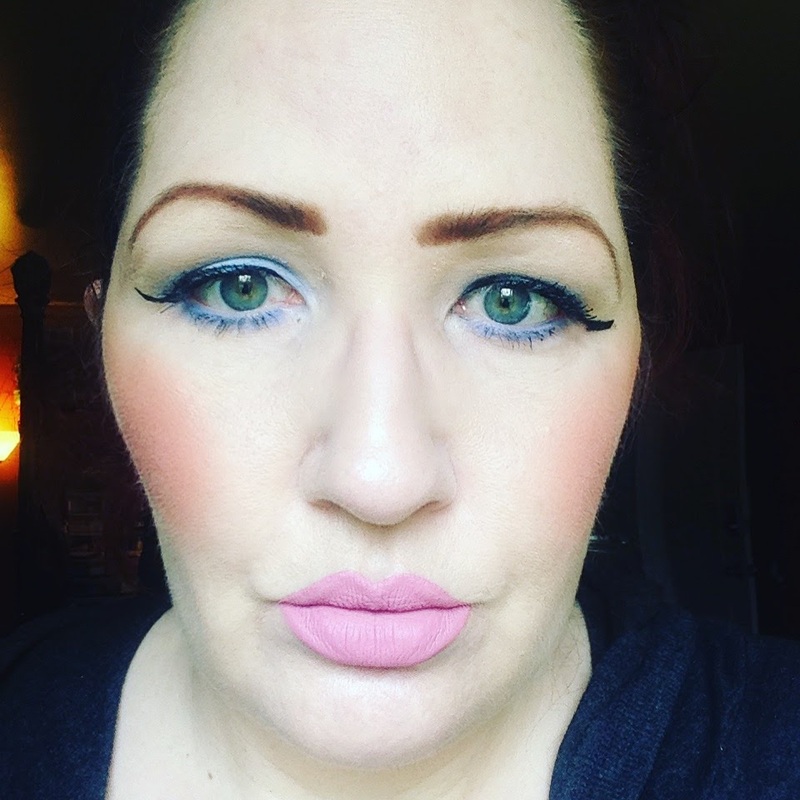 I think this mascara is just enough, I might apply a little navy liner to go with it. Here is a photo of me wearing the Cobalt Blue over Voluminous Original and the blue kind of gets lost because I am wearing blue eyeshadow. It overpowers the mascara. With it I am wearing hot pink blush and baby pink lips. Kind of 60's look. 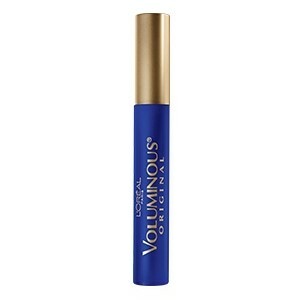 The Loréal Paris Voluminous Original Mascara in Cobalt Blue is available at online at www.lorealparisusa.com and in stores at Ulta, Walgreens, Rite-Aid, CVS, Target and WalMart. It is available at various other large chain mass marketers. It retails for $7.29. Like L’Oréal Paris on Facebook:https://www.facebook.com/lorealparis; Follow L’Oréal Paris on Twitter:@LOrealParisUSA; Subscribe to L’Oréal Paris on YouTube:http://www.youtube.com/user/lorealparisnyc and Follow L’Oréal Paris on Instagram:http://instagram.com/lorealparisusa#.